Barbara Gordon: First of all, I realize this is probably not how you thought the story would start, not with a big shiny moon or a city that could look stunning in spite of itself... Or me. 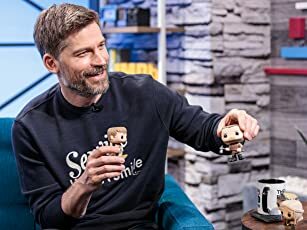 But I wanted you to know before the horror began, before it all came crashing down, there was a time when capes and cowls and fighitng crime really was exciting. Batman goes on the hunt for The Joker who is kidnapping and torturing Commissioner Gordon and his family in a similar way to his own descent into madness. One thing that immediately stands out about this film is how much it seems to want to be like the graphic novel that it is adapted from. This is because the dialogue seems like it has literally been taken from the novel itself and copied word for word, this is accompanied by animation that looks like it's just a moving version of panels from the original comics/ Killing Joke graphic novel. It basically seems to be a direct literal adaptation of Alan Moore's famous, classic novel. This might majorly stand out at the start of this film adaptation because the first 30 minutes of the film seem to be a bit slow and just a long build up and introduction to the lives of Batman and Batgirl/ Barbara Gordon and so later plot details are further understood or emotional pain for certain characters is deepened because of this connection with the characters. 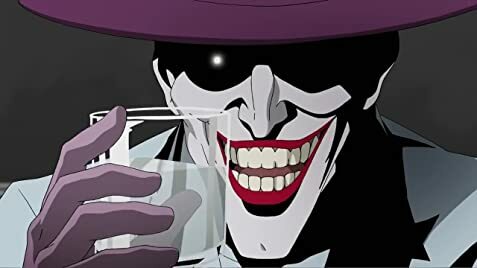 In fact the connection with the characters in this film isn't really that strong and at times they just seem to be there ,even Batman has this feeling when he is present in some scenes, this can also be said for the character of the Joker (voiced by Mark Hamill) he might be one of the best things about the film but he doesn't seem very understandable in his actions and motives until later in the film when his backstory ,if it is even his real one due to the character previously making up many different backstories making him more mysterious and in some cases creepy, is revealed and we see what his life was previously like and what drew him into the state of madness that has made him one of the most famous and iconic on-screen and comic book villains ever. As this is done the character of The Joker gets better and better and more enjoyable and the same can be said for the rest of the film as more is revealed and as more events unravel/ occur the pace gets quicker and the film gets better and more entertaining pulling the audience in and providing a more detective style superhero film which at times feels fresh, new and different. 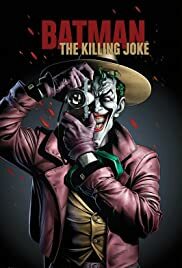 If you ignore the first 30 minutes then Batman: The Killing Joke is a fresh animated superhero film that not only shows a new side to the character of The Joker but puts him centre stage as the star of the show. Overall it might have a dodgy script and seem like a literal direct lazy adaptation at times but it's an enjoyable film with some highly entertaining moments.